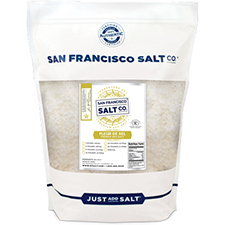 Fleur de Sel, French for “Flower of Salt”, is hand collected from the Guérande Salt Marshes using centuries old techniques. 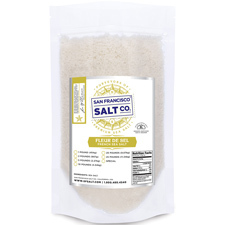 This exquisite salt is truly a rare gift from nature. Guérande “paludiers” harvest this salt by skimming the very surface of the salt ponds, obtaining only the salt crystals formed on the top layer. 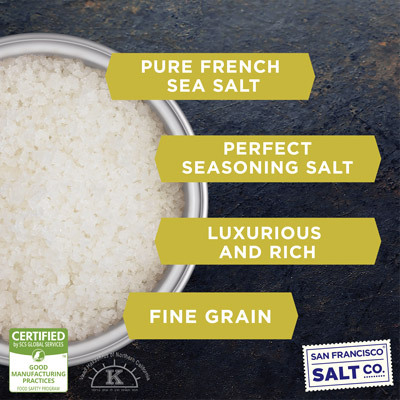 Fleur de Sel is neither crushed nor ground and is from the Nature & Progrès institute in France, a strict certification process ensuring purity and excellence. 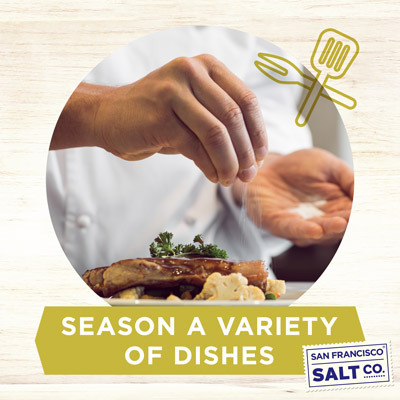 Fleur de Sel is esteemed by chefs as the most amazing sea salt for culinary use with its delicate flavor, light and moist texture and high mineral content. DESCRIPTION - Fleur de Sel de Guérande. Packaged in our U.S.A., GMP certified packaging facility which is 3rd party audited by SCS Global. 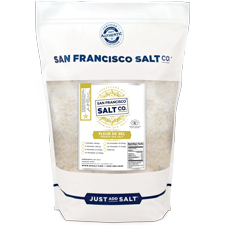 PROPERTIES - Our Fleur de Sel de Sea Salt is Kosher Certified, Non-GMO, and does not contain any MSG, Soy, Gluten, Dairy, anti-caking agents, artificial colors, or additives.